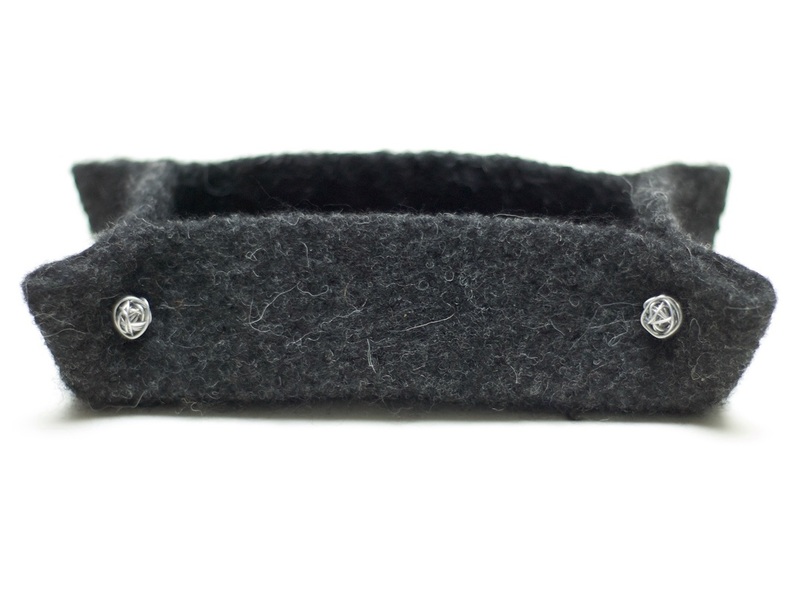 BOKS is a firmly felted rectangular container in pure wool. 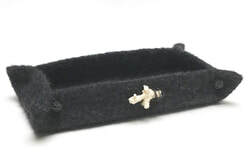 BOKS is perfect at the door for keys, or at your bedside for eyeglasses or jewellery. BOKS comes in two sizes; 10" x 4.5" and 8" x 4". Because these felted pieces are made by hand, the measurements may vary slightly. Custom orders are available here.